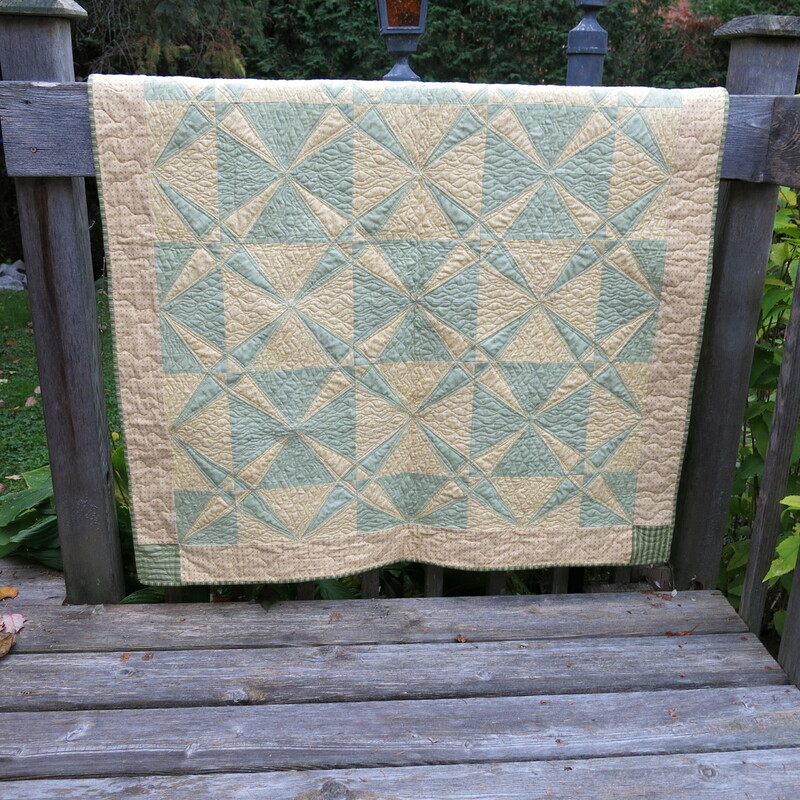 This is the first finished quilt post! 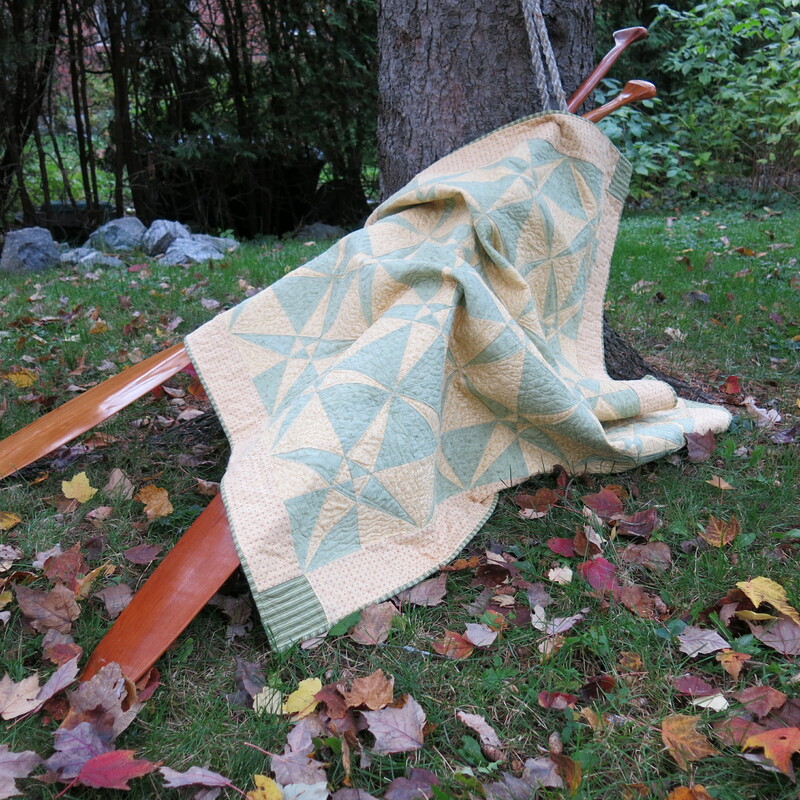 Not first because it’s my first quilt (or even my most recent), but it’s the only one that I have pictures for. 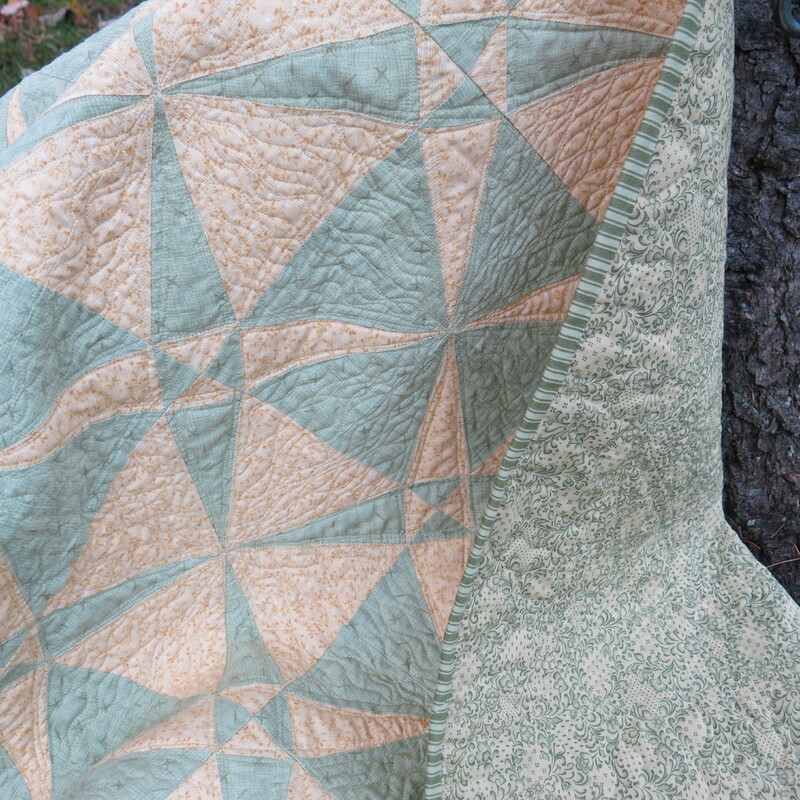 It’s a crossed canoe pattern with free motion quilting done on Elle’s longarm machine.